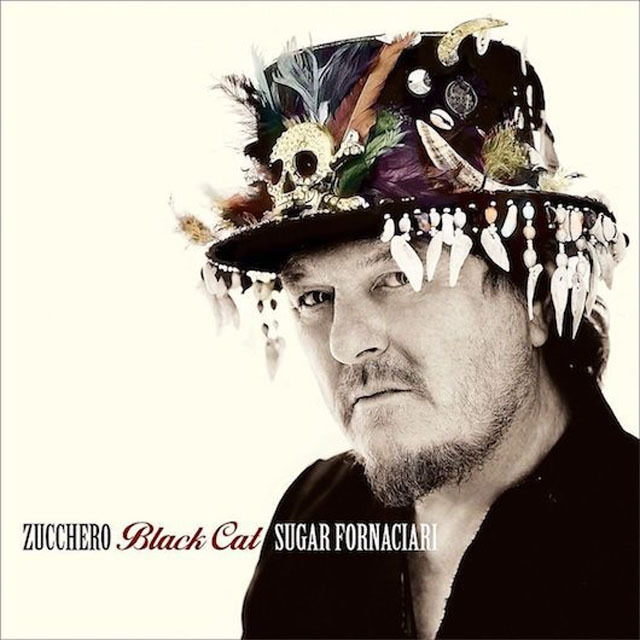 Zucchero presents his November 2016 recording (released in the US in February 2017) entitled Black Cat. This is a mega project that features the raspy energy of the iconic Italian vocalist at his visceral best. 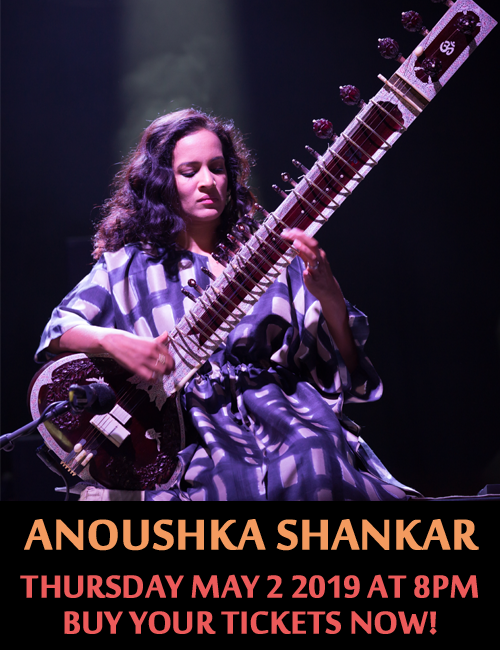 His soaring passion is elevated to a more rarefied realm by the extravagant production that includes a song co-written by Bono showcased in two versions, both of which include Mark Knopfler. The galaxy of musicians may not be well-known to all of us living across the pond, but they are all – to a man and a woman – not only superb performers, but also seem to be so in tune with Zucchero that they bring a higher meaning to the superstar’s own virtuoso turn. As if all that was not enough, Black Cat has been fashioned by three among music’s finest producers: Don Was, Brendan O’Brien and T. Bone Burnett. And just to get an idea of what these three visionary and decorated sound designers bring to the table may be seen from the complex and exhausting list of participating musicians (below). The plot of the album – from the perspective of Zucchero – is to reach back to a time when passion and the energy derived from it is everything, especially the main ingredient in this fabled musical concoction. As it turns out the presiding image radiating from the musical chiaroscuro is not only depicted by ‘the black cat’ but the music leaping forth from “Partigiano reggiano” is redolent in the soul of “Vaudou” and its spiritual folkways. Much of the music draws inspiration and energy from the African Diaspora, especially that branch that took root in Louisiana. The music that grew out of the African-American syncretic pathway features expressions of the arts and cultures of its people and comes alive not only in the prevailing imagery throughout the packaging and design of the album, but in the music of Zucchero itself. And it is also a matter of ingenuity that Zucchero together with the sound designers, Don Was, T. Bone Burnett and Brendan O’Brien, has turned this New-Orleans-Vaudou-Blues influenced idiom into a strikingly-coloured encounter that depicts the story with virtuoso pace and inventiveness. As a musician Zucchero does not so much sing as music bursts forth from him. His voice, gnarled and gravely, is glorified by his brilliant use of tonal colour and textural sorcery. It isn’t often that you will encounter a vocalist who can treat you to the pathos of “Streets Of Surrender (S.O.S.)”. The song harks back to the terror of recent terror incident at the Bataclan club in France. These lyrics, penned by Bono are infused with a passionate kindling of music that cascades into a vale of tears. Another classic song to come out of this album will surely be “Hey Lord”. Here both music and lyrics have been written by Zucchero and bring his deep soulfulness in contact with the African-American spirit. The use of lap and pedal steel guitars together with dobro and percussion conjures vivid images of the land where the blues became a more widely expressed art form (Africa will always remain the origin of the blues, though it came into its own after it collided with the ugliness of slavery). Elsewhere, when Zucchero collaborates with Elvis Costello, in “Turn The World Down” the effect is heartbreaking and magical. Zucchero – even when he is singing a ballad – is a force of nature. The effect that this multi-instrumentalist and lyricist has on music is felt – most deeply so in his Italian fare, more especially on songs such as “Fatti di sogni”, “La tortura della luna” and most especially in “Voci”. Here, as always is Zucchero’s putative message: that art transcends everything. This recording, and his forthcoming global tour to promote it, is dramatic proof of that Zucchero is traversing music’s horizons with character and virtuosity like few other artists. Track List: 1: Partigiano reggiano; 2: 13 buone ragioni; 3: Ti voglio sposare; 4: Ci si arrende (Streets of Surrender – S.O.S. (with Bono -lyrics- feat. Mark Knopfler); 5: Ten More Days; 6: L’anno dell’amore; 7: Hey Lord; 8: Fatti di sogni; 9: La tortura della luna; 10: Turn The World Down; 11: Terra incognita; 12: Voci (Namanama Version); 13; Ci Si Arrende (feat. Mark Knopfler). Personnel: Zucchero: vocals, acoustic guitar (1, 2, 10), piano (1, 2, 4, 7, 8, 12, 13), electric piano (10), organ (1, 7), Farfisa organ (2, 6), church organ (2, 5), pump organ (11, 12), harmonium (8), keyboards (1, 2, 3, 11) HS divider pad (5); Mark Knopfler: National guitar (4, 13); Biagio Antonacci: background vocals (3); Barry Bales: double bass (5, 7, 10, 12); Jay Bellerose: drums and percussion (5, 7, 10, 12); Federico Biagetti: dobro (1, 3, 5, 8, 9, 11); Brendan O’Brien: bass, synth (3), electric guitar (11); Jason Carter: fiddle (12); Lenny Castro: percussion (1, 2, 6); Matt Chamberlain: drums (1 – 4, 6, 8, 11, 13), percussion (11); Gene Cipriano: English horn (4, 13); Matt Combs: fiddle (11); Jerry Douglas: lap steel guitar (5, 7, 11), dobro (7, 10); Nathan East: bass (1, 2, 6); Michael Finnigan: piano (6, 9); Mark Goldenberg: acoustic guitar (9); Pattie Howard: background vocals (12); Stavros Ioannou: guitar and bass (9); Jim Keltner: drums (1, 2, 3, 4, 6, 13), drum feel (9) Stephanie O’Keefe: French Horn (4, 13); Greg Leisz: pedal steel guitar (4, 8, 11), lap steel guitar (8, 13); Darrell Leo: horn arrangements and conducting (4, 13); Darrell Leonard: trumpet (1, 2, 13), horn arrangements and conducting (1, 2); Colin Linden: electric guitar (5, 7, 10, 12), acoustic guitar (12), baritone guitar (12); Lester Lovitt: trumpet 1, 2); Kurt Lykes: background vocals (5); James McCrary: background vocals (5, 12); Linda McCrary: background vocals (7); Max Marcolini: electric guitar (1, 2, 3), dobro (9), Mellotron, light and magic (4, 13),synth (6), Arp (5), piano (5), bass (5, 11), strings (13) and background vocals (2); William Maxwell: arrangements and conducting of background vocals (5, 7, 12); Jason Morales: background vocals (7, 12,); Jamie Muhoberac: acoustic piano (3), Moog and Mellotron (11) and keyboards (6, 9), Eddy Mattei: background vocals (2); Arthur Miles: background vocals (1, 2, 3, 6, 9); Ira Nepus: trombone (1, 2); Russell Pahl: pedal steel (5, 7, 10, 12); Louis Pardini: background vocals (5, 7, 12); Tim Pierce: electric guitar (2, 3), acoustic guitar (4, 11, 13); Mike Piersante: hand claps (7, 10); Thomas Peterson: saxophone (1, 2); Melodye Perry: background vocals (7, 12); Cheryl Porter: background vocals (1, 2, 3, 6); Davide Rossi: strings (1, 7, 8, 9, 10, 11); Nils Ruzicka: keyboards and programming (9); Leslie Sackey: background vocals (1, 2, 3, 6); Alfie Silas: background vocals (6, 11); Aaron Sterling: percussion (9); Joe Sublett: saxophone (1, 2); Lisa Stone: background vocals (7, 11); Jennifer Vargas: background vocals (1, 2, 3, 6); Patrick Warren: Mellotron, light and magic (4, 13); Jimmy Wood: harmonica (6).